New Zealand Wintermester group study. 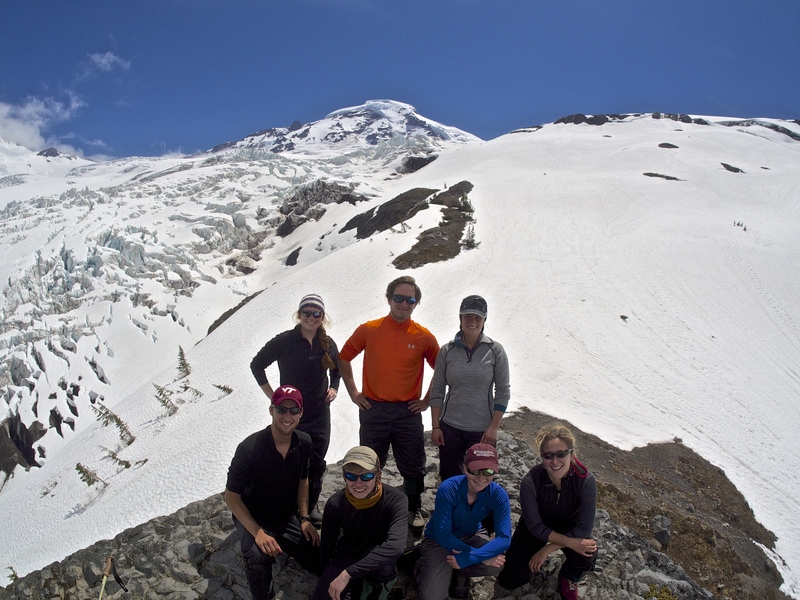 We are a vibrant community of 275 faculty, staff, and students committed to the rigorous pursuit of geographical knowledge and skillsets in order to make positive impacts on people, places, environments that enhance and sustain social and environmental systems for the present and future generations. · Deliver high quality teaching and learning at all level, impactful research, and engaged outreach. · Develop current and new understandings of the diversity of the Earth’s physical and social systems, the value of spatial perspectives, and connections between peoples and their environments at a variety of geographical scales. · Provide students with intellectual skills to synthesize information, be critical thinkers, develop into better and more informed citizens, and find success in employment or further academic training. 1. Environmental Systems – Patterns and processes of vegetation, weather/climate, water, and landforms. 2. Human Systems – The spatial organization and processes of urban systems, demographic change, human health, regional development, and cultural change. 3. Human-Environment Interactions – How culture, economy, politics, gender and globalization shape the planet’s urban, rural, and natural resources and influence human livelihoods and wellbeing. 4. International Development – Relations between developed and developing countries and the impacts of globalization at local, regional, and national scales. 5. Geospatial Analysis – Principles and applications of geographic information systems (GIS), remote sensing, digital mapping, and quantitative spatial analysis. 1. How are humans changing the physical environment? 2. How are climate and other environmental changes affecting risks and vulnerabilities of human systems and how might humans adapt to promote resilience and sustainability? 3. How does where people live affect their health? 4. How is the movement of people, goods and ideas transforming local places and the world more broadly? 5. How might we better observe, map, analyze and visualize a changing world? Meteorology internships help ready the next generation of U.S. Air Force weather officers. Geography professor Tim Baird investigates next-generation learning environments in high tech classroom spaces. Meteorology faculty and students anchor weather stations on highest peaks in Virginia and West Virginia. 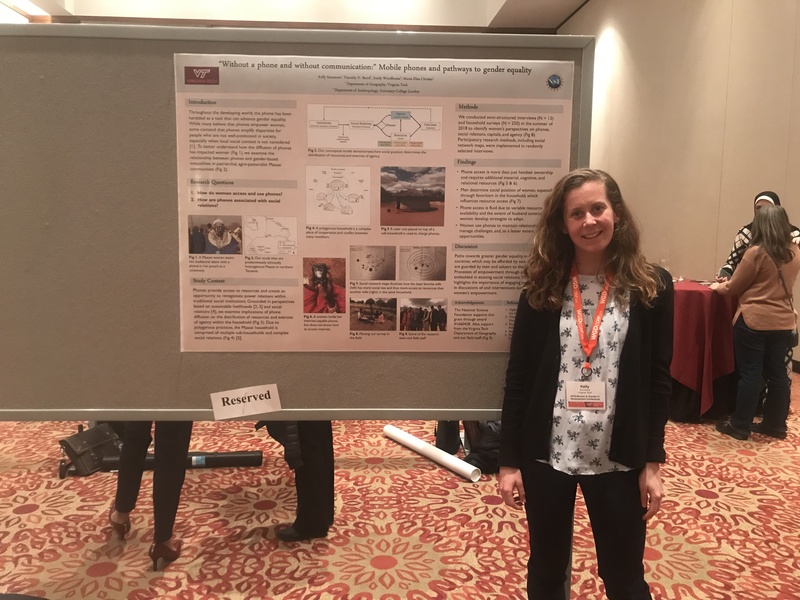 Kelly Summers wins 1st Place in the Graduate Student Competition at the Women and Gender in Development Conference 2019. Dr. Stephanie Zick, an expert on tropical storms, was featured on WFXR discussing Hurricane Florence. Alumnus James Morrow (BS Meteorology ’14), a weather forecaster in the Raleigh National Weather Service office, was interviewed on CTV about the statue of Hurricane Florence as it approaches the Carolina coast. Dr. Thomas Pingel is appointed associate professor: Dr. Thomas Pingel joins the department this fall as an associate professor. Dr. Pingel previously was at Northern Illinois University. He is specializes in geospatial theory and applications of near earth and terrestrial remote sensing to problems in human geography. His innovative work and teaching involve LiDAR, UAV-based photogrammetry, and 2D/3D immersive representations. Dr. Pingel is teaching a course on geovisualization this fall. Dr. Timothy Baird promotion: The Virginia Tech Board of Visitors recently approved Dr. Timothy Baird’s application for promotion and tenure. Dr. Baird’s promotion to associate professor with tenure is effective July 1, 2018. Congratulations to Dr. Baird. Congratulations to Dr. Tim Baird, who received official word that he has received a grant from the National Science Foundation (GSS) to begin work on the project, “The effects of mobile phones on gendered social networks, decision-making and vulnerability”. The project team is T. Baird (PI), E. Woodhouse, J.T. McCabe. Stephanie Zick has had a publication in the Annals of the AAG recently: Zick, S. E., and C. J. Matyas, 2016: A Shape Metric Methodology for Studying the Evolving Geometries of Synoptic-Scale Precipitation in Tropical Cyclones, Annals of the American Association of Geographers, doi: 10.1080/24694452.2016.1206460. Education and experience leads Virginia Tech meteorology student to mountaintop internship: Tim Greene spends the summer atop Mount Washington in New Hampshire. 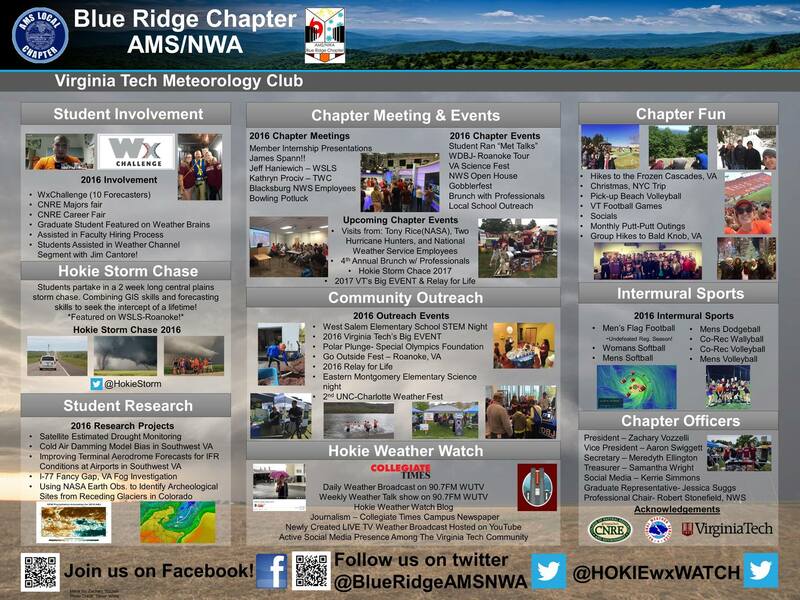 2016 MTRG grad Frances Peyton has just accepted a job as the weekend meteorologist at WVVA in Bluefield, W.Va.
Trevor White's graduate program which has led him to a "dream job" and the Center for Severe Weather Research is profiled in an article in the Roanoke Times. Anamaria Bukvic, research professor in the department was recently awarded a grant to study A Human-Centered Computational Framework for Urban and Community Design of Resilient Coastal Cities, along with colleagues from Virginia Tech and the Univeristy of Miami by the NSF’s Critical Resilient Interdependent Infrastructure Systems and Processes (CRISP) program. Stephanie Zick shares her expertise about Hurricane Matthew via WSLS TV: Virginia Tech experts assess Hurricane Matthew damage and in Forbes Magazine in “Why The 'Blob' East Of Hurricane Matthew's Eye Should Concern Us,” Forbes, 3 October 2016.